Many of us may already be aware that the Tax Cuts and Jobs Act (TCJA) has significantly cut corporate tax rates, slightly cut individual tax rates, provided a jump in the standard deduction and implemented a host of other tax law changes for both individuals and businesses. However, there has been little attention given to the Opportunity Zone program, which has been added as part of the TCJA, with the goal of spurring economic development and job growth in economically depressed areas. Under the right circumstances, utilizing this generous gift from Congress could substantially defer and eliminate capital gains taxes. 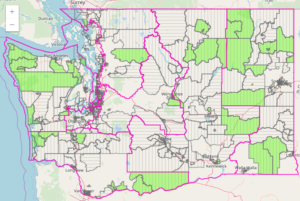 Opportunity Zone is a low-income community census tract that is designated by the Governor of each state. These zones must be approved and certified by the Secretary of the U.S. Treasury. 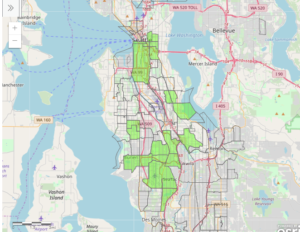 Below are two maps, the first displays all the economic zones in Washington state and the second map provides the Opportunity Zones in the Seattle area. First, a taxpayer must have capital gain or plan to sell any asset for a capital gain. Unlike a 1031 transaction, where the gain must come from investment in real property, an opportunity zone allows taxpayers to invest any gain in an Opportunity Zone as long as the gain is characterized as a capital gain. For example, the sale of Amazon stock that is sold at a gain would be gain that can be reinvested into an Opportunity Zone. Next, the capital gain must be reinvested into either a qualified opportunity zone fund or a qualified opportunity zone property. The beautiful thing about this is that the taxpayer can choose between reinvesting only the gain, a portion of the gain or reinvesting the gain and principal into an Opportunity Zone. This creates flexibility for a taxpayer who may not want to reinvest all his/her capital gain into one investment and may instead elect to spread the investment to other investments. In comparison to a 1031 exchange, all the principal and gain must be reinvested into qualified property. The tax benefits will only result from the gain that is reinvested, any gain that a taxpayer decides to keep would be taxed under normal rates. Original Capital Gain – any capital gain that a taxpayer reinvests in a qualified opportunity zone fund or property will be deferred until 2027. Capital Gain Reduction – of the original capital gain that was reinvested, the gain is reduced by 10% if the investment is held for 5 or more years and a 15% reduction in gain if the investment is held for 7 or more years. Capital Gain Elimination – Any appreciation from the new investment in the Opportunity Zone is completely eliminated if the investment is held for 10 years or more. What are some of the restrictions important dates? Gains must be invested into a qualified opportunity zone fund or qualified opportunity property. Gains must be invested within 180 days from the sale of the capital asset. Investments must be made by December 31, 2019 to qualify for the 15% reduction in capital gain and by December 31, 2021 to qualify for the 10% reduction in capital gain. The deferral of capital gain is due on April 15, 2027, even if you still own the property and have not liquidated your investment in an opportunity zone. 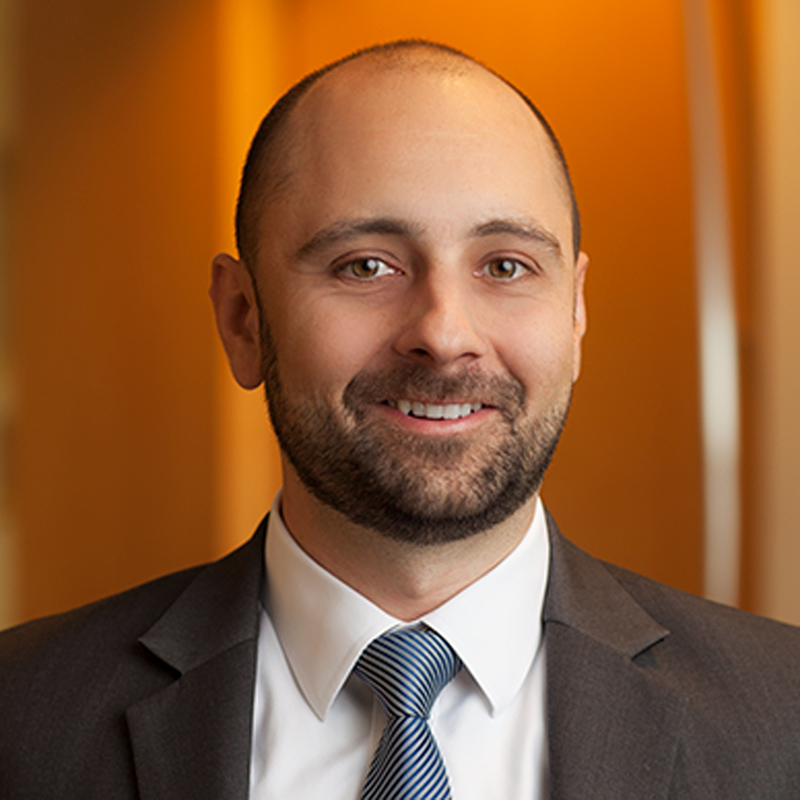 If investing in qualified opportunity zone property, the taxpayer must make substantial improvements to the property which essentially requires the taxpayer to double the value of the tangible property (i.e. building). For example if the building was worth $100K when purchased, the taxpayer must invest money to bring the buildings value up to at least $200K. The Opportunity Zone program is an attractive incentive for particular investors. The incentives could be worth exploring for individuals with large unrealized capital gains who plan on disposing these assets. It is important to note that similar to a 1031 exchange, there are many requirements that need to be met and very strict deadlines that need to be adhered to. It is recommended that anyone interested in exploring the Opportunity Zone program should consult with their tax advisor before selling their capital assets and investing in an Opportunity Zone.